I had a great time at your last Mix and Mingle and look forward to meeting new people and reading some great posts! I we were having coffee I would tell you that after a lot of waiting I finally got the job I really wanted! Me too! Congrats on the new job as well! I remember you saying you were getting a bunch of apps out there. What will you be doing now? Thank you. I will now be working for a government agency. Wooohooo!! Very official :-). Congrats again! How awful to have such a high fever!! I really hope that you feel better soon. Not feeling well is the absolute worst, and throws me for a curfball whenever I need to get something done. Thanks for keeping us all healthy with the safe distance you’d keep from us lol. Thanks for the healthy eating tips and the free pass to not eat so healthy all of the time :-)!! Of course! I’m mostly better now! Huzzah! Robitussin and all day naps for the win! Glad to hear you’re feeling better! Thanks for the suggestion about the corn! I love food lol! I’ll just bring an extra suitcase just for that haha. If we were drinking coffee right now. I’d begin by sharing with you the goodness of God upon my life. I’d tell you how good he has been to me and my family and how he has delivered me from an accident. He has always preserved me and more especially my mom who travels down every weekend to visit from work. I’d also tell you that my younger sister will be getting married by November. i spoke with them yesterday and i realized how God has been helping them in the preparations. I want to wish you a safe trip to Mexico and i pray that God gives you a miracle. Don’t forget to share it with me when you come back. I will like you to get me some shawamah. lol. I’m glad to hear that God continues to bless you and your family!! Also sorry to hear about the accident, and glad that you are able to add this blessing to your testimony :-). Congrats to your sister on the upcoming wedding! Thank you for wishing me off sacked as I prepare for my trip to Mexico. I’m not gonna lie, I had to google what shawamah was lol! Where will I find this and what is it exactly, because my search engine was not able to help me out. If it’s food, my appetite is already growing haha! LOLZ. it’s a special type of dried chicken with chili and it rocks great. I had a taste of that when i visited west Africa(Abuja, Nigeria). I think it’s only found there. But if you stumble upon that, please do get me one. Hahaha! Great, now you’ve got my hopes up…and I may not even be able to find this in Mexico! I’ll keep a look out though, and will ask the locals to see if they have something similar :-). I’ll also have to make it a point to visit Africa one day. I’d love to. Just those long flights aren’t on my lists of favorites. Have to work myself up for that! I read the letter to your father and it was a brave and beautiful thing to do and to share! Have fun on your trip you deserve it! we will miss you too! Thank you! I was happy to write the letter, and nervous to share. But I’m glad I did. My dad sent me a lengthy response as well!! Super excited about my trip to Mexico! I will definitely miss you guys :-). Especially your delicious and easy recipes!! I loved the letter and I was happy to read about his response! If I were drinking coffee with you right now, I’d tell you that I’m both stressed out and exciting at starting a new job tomorrow. While school is starting back up again, it’ll be fun to work as a box office assistant for a non-profit ballet company with really rad, chill employees. And if I were drinking coffee with you right now, I’d probably be ranting about the defunding of Planned Parenthood. Sorry. Have fun in Mexico, FreeByrd! You are very welcome! Thanks for joining. I’m excited for my trip. I checked out the most recent recipe on your blog…looks absolutely delicious!! Thanks for sharing that one! 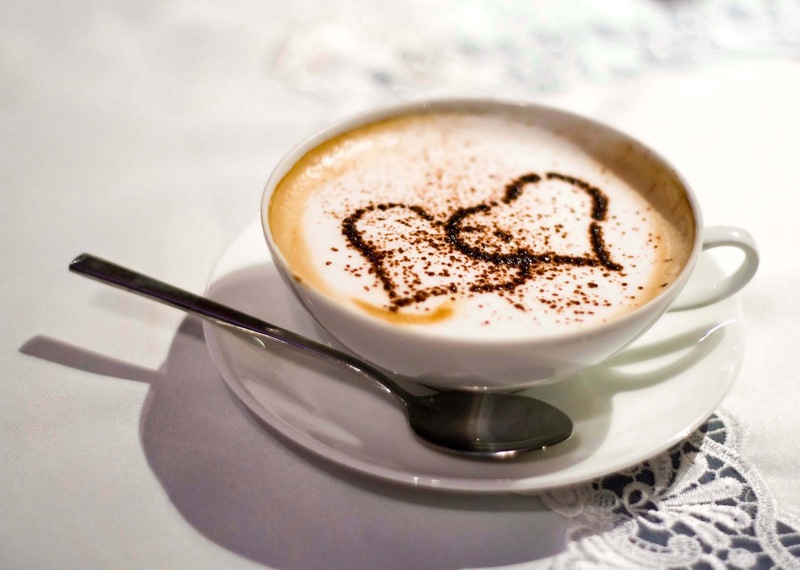 I am heating up the coffee meanwhile I’m gathering my thoughts…………………..Will surely have a cuppa with you. If we were having coffee, I would mention although certain stress hovers above searching for a landing pad, for the most part all is good. Hey Michael!! Thank you for sharing some coffee with me :-). I appreciate your very kind words. I am thrilled to be traveling to Mexico. I have recently checked out your post…very beautiful indeed! You have a very comfortable writing style, which makes it easy to follow!